We are launching emergency actions THIS WEEK. Contact your DSA chapter about local actions. The Socialist Feminist Working Group and NPC asks all local groups to mobilize as soon as possible. The Senate may vote on Kavanaugh’s confirmation this week or Saturday. 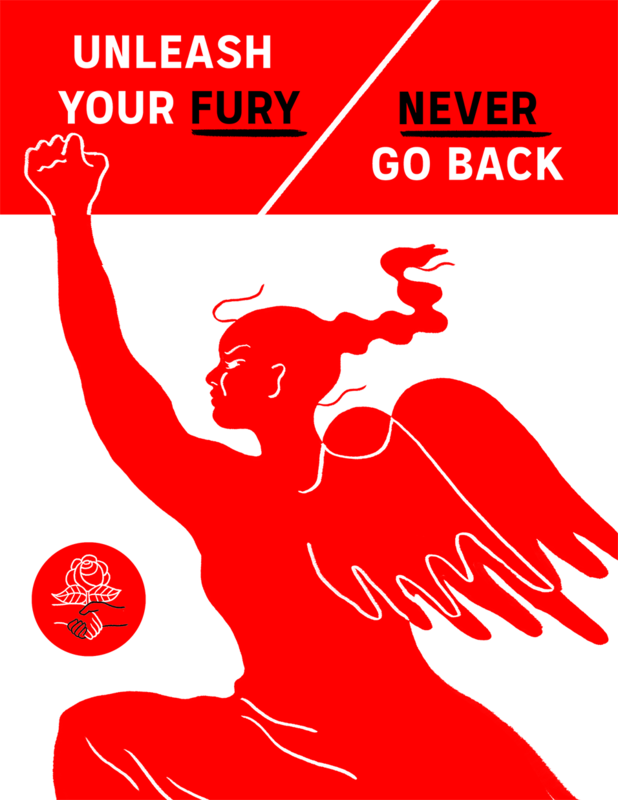 Print out a DSA Stop Kavanaugh sign and bring it to local actions, or put it in your window. DSA’s elected leadership, the National Political Committee, has endorsed the Thursday Cancel Kavanaugh Walkout Against Patriarchy, organized by the International Women’s Strike. Join a National Walkout from all work, waged and unwaged, on Thursday, October 4 at 4:00 pm to protest the appointment of Brett Kavanaugh to the Supreme Court. You can find local Walkout events here. Sign up for more information and updates. We also encourage your participation in actions in Washington, DC on Wednesday, Thursday, and Friday, including civil disobedience. Click here for details. Brett Kavanaugh is the tip of the iceberg. We must stop him and anyone else the right-wing tries to install on the Supreme Court that they have set up to be largely unaccountable. They’re trying to roll back a century of hard fought economic and social progress in one fell swoop while utterly disregarding the concerns raised by survivors of sexual violence. In Georgia, Metro Atlanta DSAers projected #StopKavanaugh on the side of a downtown hotel the night of Dr. Ford’s testimony. On Friday, DSA Los Angeles and NARAL Pro Choice California hung a “Stop Kavanaugh” banner over a bridge during the morning rush hour. DSA members in West Virginia joined an occupation of Senator Manchin’s office yesterday before being arrested just after midnight. Hundreds of New York City DSA members and allies marched on the Yale Club in Manhattan last night. More action reports are coming in regularly. You can find a list of upcoming DSA chapter actions here. We will post updates as the week goes on.